The third book will be Future Faith: Ten Challenges Reshaping Christianity in the 21st Century. Please participate and be a part of these opportunities to learn and to listen to one another. Books for Adult Education are available. 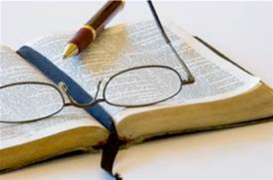 Church School meets from September - May during our 10:30am Worship Service. from the regular service to their respective classes following "Moments with our Children." Sundays, 10:45 am - 11:30 am. Classes will not be held on the Sunday after Thanksgiving or on the Sunday after Christmas. This year we are using the curriculum resource, Holy Moly. It teaches via persons / characters (Abraham, Jesus, etc.) in both Testaments in the Bible. It includes kids using their Bibles, a hands-on activity, and a video component. Please consider teaching our young people. You may sign up for any number of Sunday's that fit your schedule, there are still slots open. The sign-up for that is also in the Knox Room. We always have room on the Christian Education committee for more people to share in the educa-tion of our youth. The more people we have the more ideas to make church school a nurturing experience for our youth. The Nursery is now located on the main floor across from Knox Chapel/Multi-Purpose Room. The Nursery will open Sundays at 10:00 am and close at 11:30am.